Recognize a shining star in your workplace by nominating them for an Award of Excellence. There are three Awards available for Licensed Practical Nurses and one for supportive non-LPN health care professionals in Alberta. LPN award recipients receive a $1000 cash prize, a commemorative crystal award, and are honoured by the College of Licensed Practical Nurses of Alberta (CLPNA) at the 2019 CLPNA AGM & Conference Awards Dinner. Read the below Award Eligibility Criteria. Decide which one of the four Awards best describes the person you want to nominate. Ask two additional people to be Sponsors for this nomination. Get their contact information to complete the Nomination Form. Write the Nomination Letter for the Nominee (a two (2) page, typed statement describing how the applicant meets the Eligibility Criteria). Save it in Microsoft Word (.DOC or .DOCX) or Adobe Acrobat (.PDF) format. Make sure the Letter gives examples of how the Nominee’s contributions at work, on committees, and in the community, meets or exceeds the Award’s Eligibility Criteria. Must have an Active Practice Permit and be in good standing with the College of Licensed Practical Nurses of Alberta. In addition, each Award has its own unique eligibility criteria listed below. The Nomination Letter should give examples of how the Nominee’s contribution at work, on committees, and in the community meets or exceeds that Award’s Eligibility Criteria. Q. Can I nominate someone for more than one Award? A. Although many nominees may fit several Awards, we ask that you choose the Award that is most applicable to the specific work or achievement using the Award Eligibility Criteria for the relevant award category selected. Q. Why is a Nomination Letter required? Isn’t my Nomination Form enough? A. The Nomination Letter is required to assist the Awards Selection Committee in determining Award Winners. 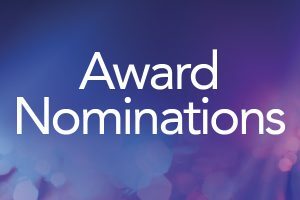 The Nomination Letter supports the Nomination Form by providing detailed and specific examples of how the nominee meets the Awards Eligibility Criteria for the relevant award category in which they have been nominated. Q. Why does my Nomination require two (2) Supporting Sponsors? A. All nominations require two (2) supporting sponsors, as they support the contents of the Nomination Letter and assist the Selections Committee in determining the Award Winners. Q. Can a Nominator be a Supporting Sponsor? A. No, the Nominator cannot also be a Sponsor. The Sponsor’s support the contents of the Nomination Letter. Q. Can I save my online Nomination Form and come back to finish it later? A. You cannot save a partially completed online Nomination Form and return to it at a later date. Before beginning the online Nomination Form, we recommend you gather all necessary information, including composing the Nomination Letter. See “Before you begin” on the Nomination Form for more instructions on how to apply.